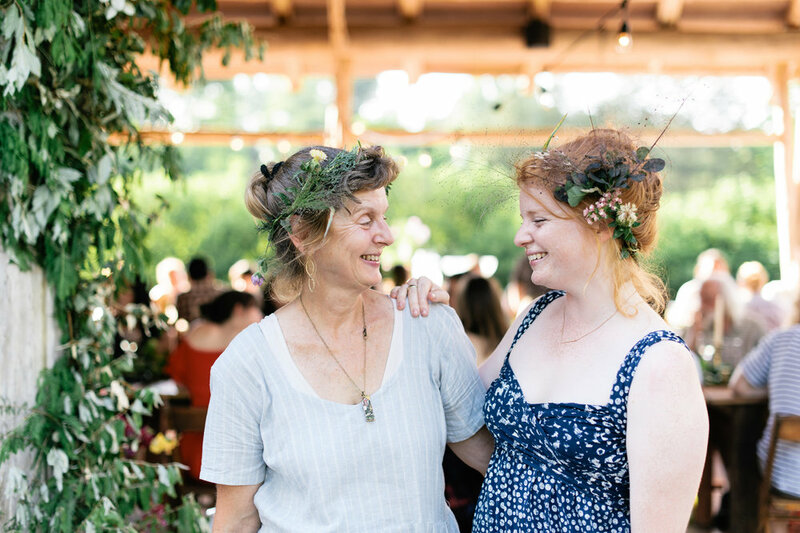 EMMA AND MARY ARE THE AMAZINGLY MOTHER-DAUGHTER DUO AND LADY-BOSSES BEHIND LADY FARMER. Tell us about Lady Farmer! What is your company? Lady Farmer is a sustainable apparel company founded in 2016, offering an alternative to the current fast fashion industry. We all need clothes, every single day, and we feel passionately there should be choices available that do not threaten the environment, human health or the well-being of those involved in production. Our community of women is invested in real change – in themselves, their families, their communities – in a way that is accessible on a daily basis, from what they plant, to what they eat, to what they wear. We want to make our ladies’ lives simpler and strengthen our connections to each other and the earth. We strive to cultivate a community for those seeking independence from existing food and fashion systems that are harmful to the planet and its people. 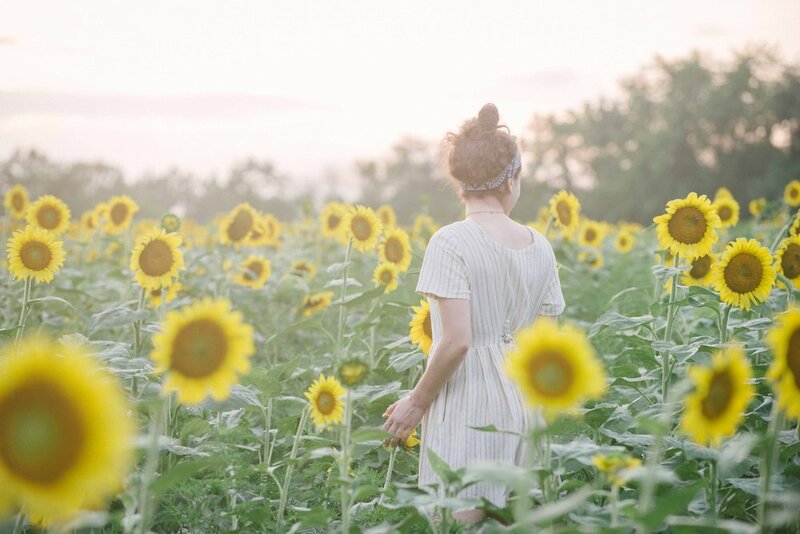 We offer functional, fashionable, sustainable clothing and products for the homesteading lifestyle, and we are a resource for the modern woman of all ages who yearns for a simpler way of life. Mary - We both came to the idea of designing our own clothing around the same time, but from different angles. I was interested in creating things that matched my farm/gardening/outdoor needs while Emma wanted to see more options outside of the toxic fast fashion industry. We came together with Lady Farmer, a "slow-fashion" brand that incorporates the values of an alternative, earth-centered and sustainable lifestyle. What brings you the most joy when developing Lady Farmer? Mary - We love the community that is growing around Lady Farmer. There are many inspired souls that have joined us on our journey and this past year has been so full of new friends and beautiful experiences. Emma - Pretty much everything is the most difficult and also the best :) but I would say the answer to these two questions is just one thing. It’s pretty special to have something that is all our own that we’ve made our own and that we are 100% responsible for. Sometimes that feels like a like a lot of weight and responsibility on our shoulders...but mostly it just feels like a big honor. What exciting things does Lady Farmer have on the horizon?! Our Kickstarter campaign (see video above) is going live September 28th! These proceeds will fund the manufacturing of our first line of sustainable clothing, the “Essential Collection,” due out in the spring of ’18. Stay tuned for the launch of the campaign and be sure to get in there early! We’re also looking to legalize the commercial production of hemp for Maryland, as hemp is an important crop that we need to recognize + utilize for its regenerative properties! All of the pieces in our Essential Collection are created from hemp-blended fabrics, and it is our dream to eventually source this hemp from the US...even Maryland! Tell us about your team?! Mary - We are a mother/daughter duo. Our small farm in Maryland is Lady Farmer headquarters. We often start the morning with coffee on the porch and discuss what needs to be done for the day. I prefer to work from home on content creation and take breaks in the garden while Emma will often go to a co-working space in town to focus on the the more technological tasks. We both have input into the ideas, design and development of the clothes. Also essential to the team is our business consultant Erin who has been our loyal guide and friend every step of the way. The three of us often travel together for collaborative meetings and events that over the past year have included conferences, festivals, farm visits, picnics, farm-to-table dinners, country photo shoots and all sorts of fun community and team building adventures. Emma - I think part of what makes us work so well together is that we know our own talents as well as limits. We know when to step up as well as when to let others take the lead. For a solo-entrepreneur, I would find people that are really good at the things you’re not, and that might need help with something you can help them with. Trade! Sharing skills & information is so vital and can build community at the same time. What is your favorite part about being a creative entrepreneur?! Biggest Struggles? Mary—I love the creativity involved, having an idea and being able to develop it and watch it come into form. I also love that every day is different and for the most part, we can choose our own schedule and pace. I think that our biggest struggle, by far, is that there are so many administrative and logistical tasks that demand our time and attention. Emma - it really is all about perspective. I pretty much have a long litany of failures and shortcomings I could remind myself of on the daily that equals my list of triumphs and celebrations that I probably should remind myself of more often. Especially for entrepreneurs in the start-up phase when those triumphs may be less visible or concrete, it’s so important to just be nice to yourself and not get weighed down by the negative. With the right mindset, its amazing what can happen.